Welcome to HideIPVPN. Your privacy and quality of our services are the most important for us. So if you have any difficulties with VPN or SmartDNS you can always contact us through live-chat or by submitting a ticket. In this post we will show you how to submit a ticket for HideIPVPN. 1. Start your browser and go to www.hideipvpn.com. Then click on Client Area (1). 2. 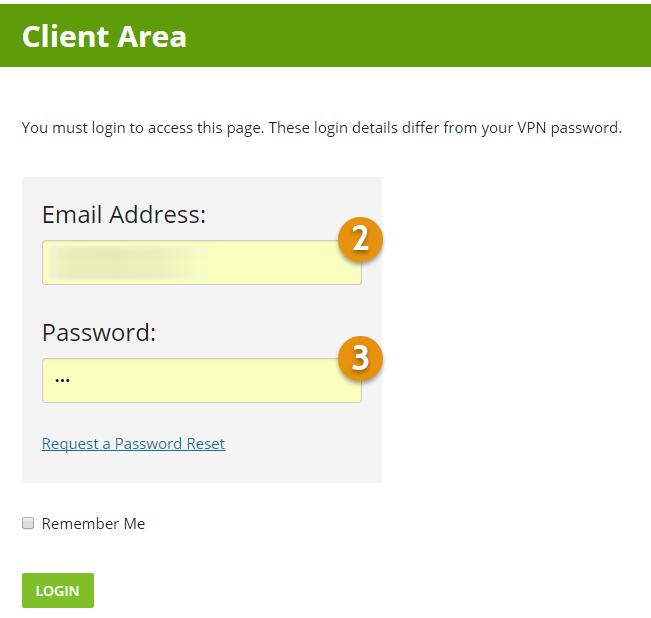 Login using your Client Area account. Type your Email Address (2) and Password (3).You can find those details in the activation email that you received from HideIPVN when you registered. Email has a subject “Client Area account details”. In case yon can’t find this email or you forgot your password you can always Request a Password Reset. 3. 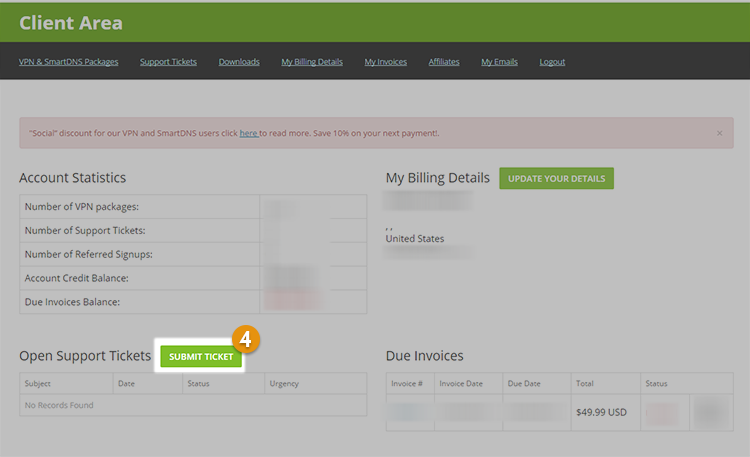 When you log in, click on the button “SUBMIT TICKET” (4). 4. Type the subject of your ticket (5). Choose Urgency (6) : High, Medium or Low. And select the Related Service (7). If you are using our Software please, click on Save log (Near Connect/Disconect button) and provide your Log file. If you made a screenshot or you saved your log file, please upload it before submitting the ticket. (9). 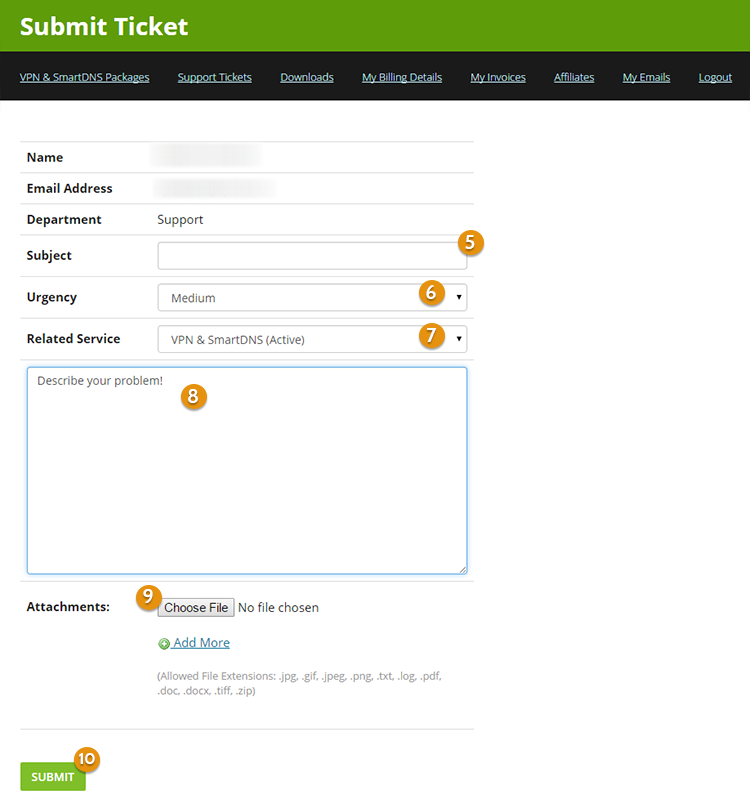 Once done press “SUBMIT” button (10). Once ticket is successfully submitted we will answer as soon as possible.